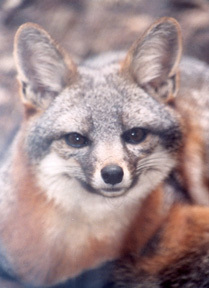 April is a busy time for island foxes and Friends of the Island Fox. Out on the islands female foxes are searching for the perfect den site in between rocks or under vegetation. They are looking for just the right spot because April is the month that many island fox pups are born. (more on island fox pups) Keep checking back to islandfox.org for a birth announcement mid-April. We're waiting for a special island fox to be born and you'll get to follow along as it grows up via Twitter. 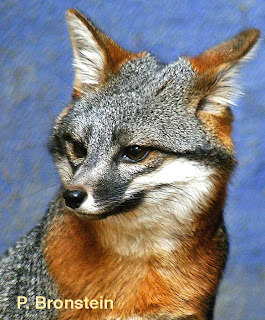 Come by and visit us and the Zoo's live island fox. 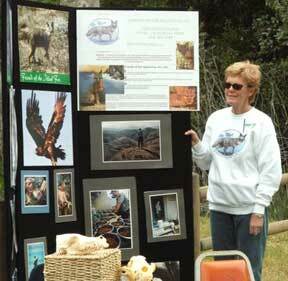 There will be Fox Talks at the island fox exhibit at 12 PM and 2:30 PM. We will also be doing radio tracking demonstrations throughout the day.